How responsible design can help companies stay relevant to thrive in the future by attracting and retaining the right people with the right talent and inspiring them to do their best work. While the pendulum continues to swing, how design stands to leverage what matters most in the workplace is much more complex than the partitioning of space. With the increasing need to attract and retain talent as well as creating a backdrop to tell the company story, design becomes the one factor that blends it all together and sets the stage for a successful future. This article is the final in a series of six articles on the growth, value, and future of Design for People. The intent has been to explore and discover the impact of behaviors, habits, and patterns of people in the design of environments. The Office of Tomorrow: Reimagine or Relocate? 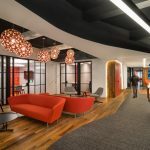 Heidi Hendy and Anna Grayhek of H. Hendy Associates share trends that will continue to redefine the office of tomorrow as employers work to gain a competitive edge in 2019 and beyond. Planning for 2019 and beyond? JLL shares how workplace and occupancy planning tools can help position your company for growth in the future of work. The use of algorithms in design, from fashion to buildings, is not a new concept. However, Artificial Intelligence (AI) might influence design outcomes in a more profound way: by shaping what it means to be human. How to create an aesthetic “wow” factor that inspires creativity, attracts new employees, and supports retention. JLL’s Dr. Marie Puybaraud explains why human interaction matters more than ever in a digital era—and what you can do about it. New research from Herman Miller – When research on your people and their work informs your office design, it becomes a powerful tool for organizational growth. 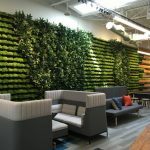 The SmithGroup team explains the the demise of the corporate office: the forces and disruptions that are redefining work and place. The new eyes and new perspectives of recent grads who have just entered the workforce can help us see work and work experience in new ways.